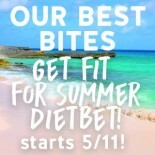 Our Best Bites Get Fit for Summer Dietbet! $250 Cash Prize up for grabs & trainer designed workout plan for ALL! EVERY player receives a trainer-designed workout plan from our favorite trainer, Jani Dittman, that she designed just for this game and $250 Cash prize awarded to one lucky player at the end of the game! CONGRATULATIONS to everyone--everyone who reached their goal and everyone who is moving in the right direction! This is a HARD business and we're proud of everything you've accomplished! We're going to take a few months off of DietBet so we can enjoy summer and travels with our families, but we'll be back in the fall and we'd love for you to play with us again! Finally, our big winner of the $250 is Macy R.! Macy, check your messages! 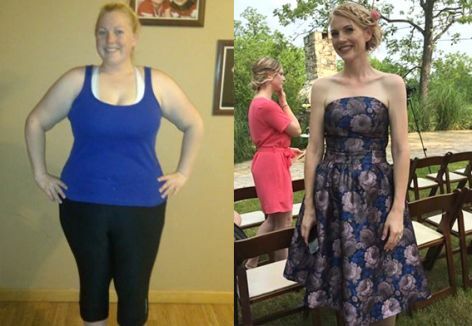 Thank you to EVERYONE for your participation and for helping create the best, most supportive weight loss environment ever! Naomi A. , rainyblues and 6 others like this comment. I will be ready to give this another go in the Fall. Count me in! All right, guys and gals, the workout plan is up and ready to go!! It's pretty awesome--Jani is amazing and it is full of SO MUCH great stuff! Plus, she'll be available to answer any questions you might have, either through instagram, email, or on the post itself. Now...this workout is exclusive JUST for you guys--it's not published anywhere else. While you can totally team up with a workout buddy, we just ask that you not share the link or the password with anyone who's not participating in this DietBet. Honor system, right? and here's the password: fitsummer2016. Jenni , Paigiepoo75 and 36 others like this comment. I just had an awesome workout! It was tough, and I had to bring it up to my level a bit, but boy was that a great workout! Thank you!! I'm going to modify, as I am only five weeks postpartum and my body is basically a pile of mush haha one push up is a challenge... But I've lost four lbs since we started with diet control and walking in the mornings!! Any date we should see our prize money in our account? I know the game has been finalized. I'm super excited I actually won something. When does our prize money get I our account? Thank you! I was starting to think I was totally making that up, lol. When do we start again??????!!!! Naomi A. and Jalisa S. like this comment. Pick another and go for it! Be cautious of end date, keeping the 4 of July in mind! Good Luck! - Overall MVP: emily h.
- Most Generous Liker: Naomi A. - Most Liked Comment: "Just jogged the majority of a mile(speed walked a little over a quarter mile in the middle) for the first time in 20years!!! Can I get an WOOT?!? Feelin' proud of myself! Not much for some but a whole heck of a lot for this gal with a bum ankle!! My goal is to jog a whole mile before this challenge is over! " by Marybeth K.
Naomi A. , Marybeth K. , alison a. , Lisa M. and Scott P. like this comment. Wow! Thank you! I didn't hit that goal but I'm getting closer and still working towards it!! I've reached my goal and weighed in. I need to resubmit my weight... Couldn't read the number on the scale but it won't let me resubmit it. Do you know what I can do? This is my first diet bet. When do we know the final amount we won and if we won any extra prizes? PTdoc and Debra J. like this comment. My first one that ended Sunday (weigh out was Mon-Tues)- we found out yesterday what the pay out was. So 2 days for that one. It had over 10K players though. Thanks everyone for your help!!! I had a little freak out moment!!! I got everything entered and made my goal and then some!!! Have enjoyed this game! I will do it again!!!! holy cannoli , Naomi A. and 4 others like this comment.